I was the one who said the 4 digit code was a Firebird shifter. All the 1969 Camaro shifters I have seen have the 6 or 7 digit code but it could be that some 4 digit coded shifters were used on Camaros. I didn't keep track of the 4 digit codes but have a bunch or codes from actual 1969 Camaros . here are some including the earliest one I have and the latest one I have and some in-between. The earliest one I can find is Oct 1968 so I don't know when they changed to the 6 or 7 digit code. Joe I cut your post above from that other thread and started this topic. You may be onto something. I will check to see what else I have for Pontiac Hurst shifters later this evening. 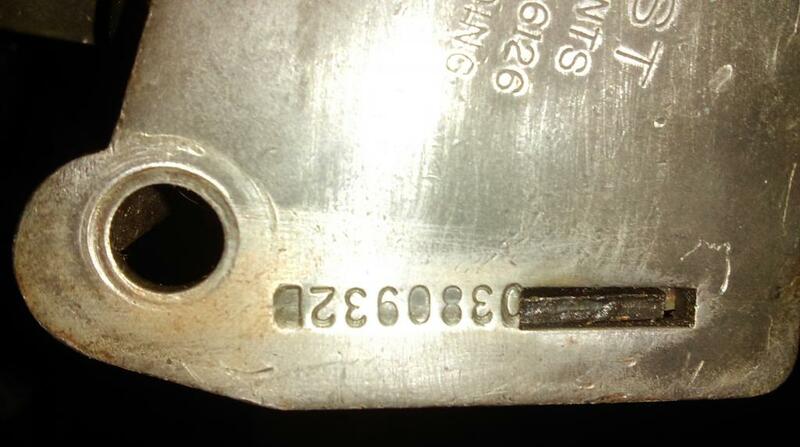 A quick look at a 68 GTO shifter shows the similar 4 digit code (but coded for Feb 68) as that Firebird shifter. OK I checked. The two images below are not from Camaros, but are related to the date coding. 68 GTO Hurst 4 speed shifter dated Feb 68 and 66 Lemans Hurst 3 speed shifter dated September 65. Do you have dates of the cars those shifters are from? Your other shifter dated 6 8B2 was in your 12B car. The one posted a bit earlier was 6 8B2 from a 10B car. I remember both cars the shifters came out of, but back then we never looked at dates. So, sorry I cannot provide much. Thanks for starting this thread. I was just about to. Gary, Joe may have a better idea. I know I have checked around in the past to try to find answers. All I am PRETTY SURE of is the month and year. I THINK the numbers and letters after that are the batch code - but I don't know the exact decode for that part. Or if there even is a decode for the batch number. Thus the reason for this thread and requesting data. Could be... the 0731 was so close to the Aug 69... I thought it *might* be? ie. maybe a daily batch? Not likely a date since you note in the first post several with numbers in the batch code above 31 (max number of days in any month). The month/year code info is pretty widely known. I got this shifter from Gary (69Z28-RS). It came from a Camaro, but I can't confirm the build dates of the car. I know that approximately in the early 70s , Hurst changed the numbers used on the aftermarket shifters. We are still looking for Hurst shifter dates from original cars. Everyone - Please post if you have data. Especially from early 69s. Thanks! suturb110 - thanks for your data. Would you happen to have a pic of the date code? I think we are starting to see a pattern that some early 69s used the 4 digit date code. Now hopefully more data will give us the approximate time of the change. Please note that mine is a Norwood production if needed. Does your Firebird have its original shifter? What's the code? Attached is a picture of my early 1969 Z28 shifter. Build code 09D 1968 Van Nuys. The shifter date code is 8 8 D3. The first "8" was stamped real lightly by the bolt. The rest of the date code is real clear. After I resized the picture the first "8" got more faint. I thought I remembered doing this before?? You may have submitted it before, and we missed it. Sorry about that. We will add it. Data on EARLY cars is the most important for what we are trying to determine. No apology needed Bryon. I was just making sure I wasn't losing my mind, lol. LOS or NOR If you can, try to make pic a little smaller next time. Thanks! So attached is a pic of the Hurst shifter from my 69 Z, build 10B, Oct 68. Shifter is dated 6 8B2. The 6 is hard to see. I'm not sure this one is on the list? Sorry if duplication. Thanks Jimmy V. I had copied your data over from the shifter report thread earlier. so far it looks like 88D3 is the latest 4 digit code and 108D41C is the earliest 6-7 digit code ? We haven't been keeping up with it, but are all these '69 Shifter bodies marked '3138', whether early or later ?? 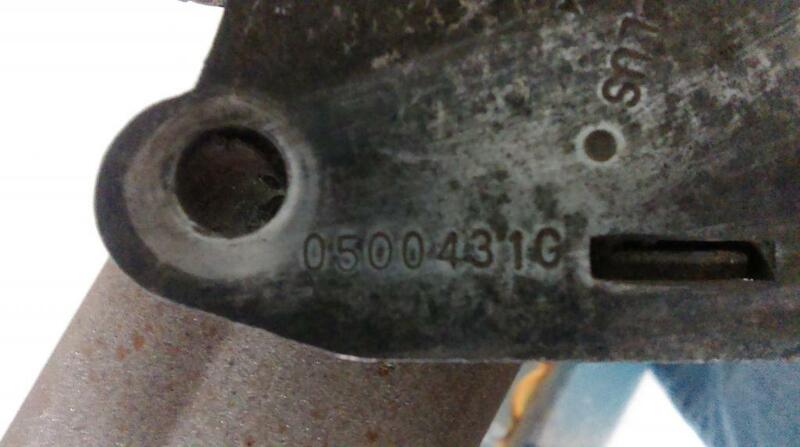 Or did they change the model number along with the mfg code in the September '68 timeframe?? 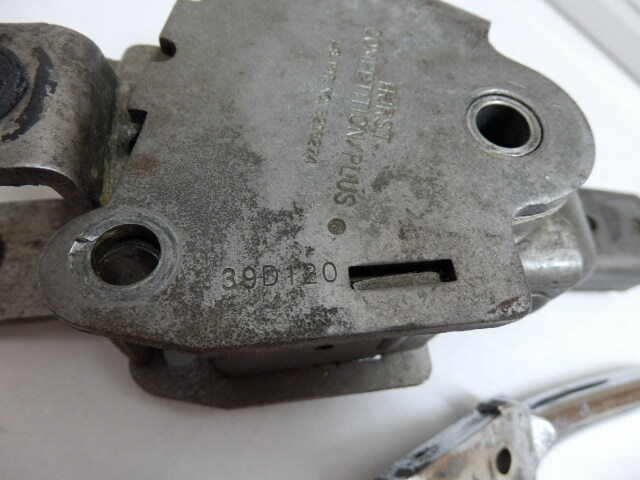 My 88D3 date coded shifter also has 3138 stamped on the front of the shifter body. Most if not all should be 3138 bodies. I also asked the 69 Firebird guys about shifters. Nothing yet. So where's the 3138 stamping? On the front if I'm under the car looking front to rear? yes on the front on the shifter. Hans - Can you check to see if there is another digit before the 9 please? It may be very lightly stamped. Thanks! Is that a faint '1' before the 9D53D? Data so far from known original cars. Yell at me if I have missed any. My 10B on the list (2nd from the top) is Norwood. My 69 RAIV Firebird was built 2D and shifter has the typical coding 190423D( Jan of 69). This is the original and includes all orig mounting hardware and linkage. That confirms is it a model year format change and the format is not dependent on the vehicle application. Just to be sure, you can assure that is the original shifter to that car, correct? Most seem to be within a month or two. There are a couple with 4 to 6 month gaps. Mine is super close, a 12D car with a 12-68 shifter. I don't think there is a week given on the shifter code so can't narrow it down further, but my car and shifter are both in the same month of the year so they can't be more than a couple weeks apart. However, a shifter, or most any other date code spread 2-3 months apart wouldn't worry me much, as long as it's obviously before the car build date. Have owned this car since 82, and don't believe it was replaced. It seems there are several January shifters in later cars that old eyes couldn't see. There is an 03B, 04B, 06A. So, there must have been a very large batch of January shifters. My 05A Z28 NOR has one, 19D51Q, owned car since April 1979 and prior owners known. Shifter 100% original. Here's a little food for thought on the coding witnessed on the shifter bodies. First let me preface this by telling you that a very good friend of mine has taken dozens (if not hundreds) of shifters out of cars when rebuilding Muncie 4-speeds & Hurst shifter bodies at a specialty restoration shop over the past 30+ years. Two people there had often taken note of the codes on the cases and referred to different prefix numbers as being associated to GM, Pontiac, Olds, etc. (i.e. 1=Chevrolet, 2=Pontiac, 3=Olds and so on so forth). It was also said that the second character likely determined the year, and the third related the month. Apparently the coding was done differently in different years where alpha letters were used for the months of one year while numeric values were used in others. In recent conversation with Peter Serio, the two of us discussed the coding and batch numbers witnessed on different cases and he is certain that different coding was batched for each motor division and that the prefix is likely the plant code ordering the shifter rather than the month which is what many people are thinking the first character was? For those of you who do not know Pete, he like my friend has been active in the restoration field for many decades. He is widely known for his Hurst Shifter restorations within GTO, Firebird, Camaro circles and has restored hundreds and hundreds of different Hurst shifters. Pete is touted as being one of the best and has restored hundreds of them. Pete understands many of the differences seen in a shifter body that many people truly don't? In a lengthy discussion, he informed me of many changes seen in the shifter bodies between one motor brand and another, and also educated me on the subtle changes made within a shifter body when GM would send change orders to Hurst facilitating things like reverse lockouts etc. When the new columns came out with locked steering in 69, there were problems where people inadvertently locked transmissions up by getting the shifter to engage reverse and forward gears at the same time. 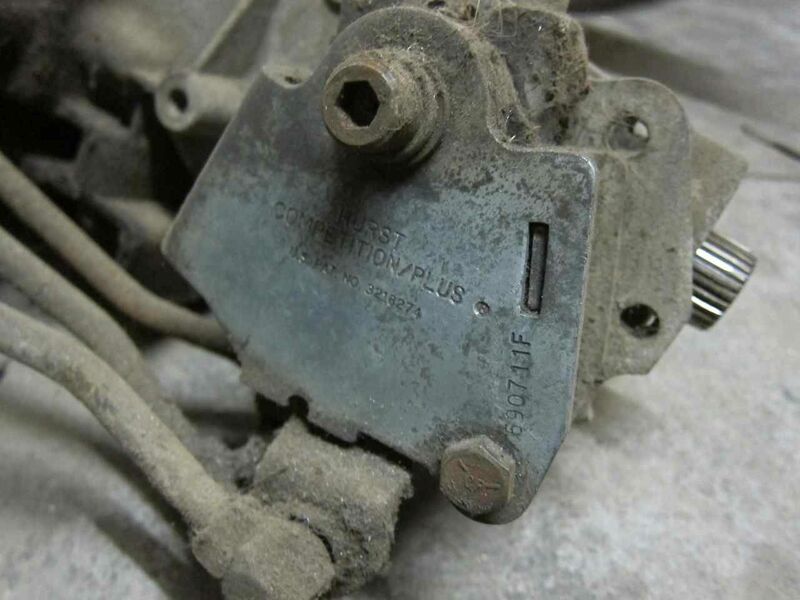 This created many issues and potential lawsuits for GM where changes orders resulted in multiple manufacturing changes within the 69 shifter bodies to correct these issues. He went on the tell me that one cannot always take two 69 Camaro shifter bodies apart and attempt to interchange parts because there were various part changes within most years especially in 69. I told him about the date sequence referred to in this page and he strongly suggested it may not be as many people think? I know another person in the hobby that takes one look at a shifter body and you can ask him, hey what's that from? He'll quickly answer that's easy, 29D coupled with that particular offset is 69 Poncho out of a Firebird while he can look at another body and spit out out 1967 Big Fat Chev. I have spoken to many people heavily involved in this hobby that know Muncies and Shifters intimately and while most have different opinions on dating/coding, the one thing that has been commonly discussed is how most concur that the first character (at least in some years) is related to the motor division. Green NV & Mr Serio, appreciate your insight and experience that gives food for thought. All the dates provided above are supposed to be out of cars that the owners are stating the shifter is the one "born with" their respective car. I have the 12B Nor 68B2 Hurst. By your observation, this is not even a Chevy (1) shifter. So, what is my shifter out of? What would GM division 6 be? Why would it be in my Chevy? And work, fitting the application? You are pretty new here. Did you ever introduce yourself and tell us your background? New insight is always welcome here, just don't try to set the world on fire. Eh? Your observations are interesting, but don't seem to fit what we have observed in original cars. Same coding for my Shifter. The original from a 10B Oct 68 Z, an early car. Reverse lockout does and has always worked flawlessly. I don't see how the shifter could engage 1st and reverse at the same time, but if that could happen, it would be related to the internal rails of the shifter itself, and would be a design flaw unrelated to reverse lockout.. Looking at the shifters listed in this thread is only but a small sampling of codes out there and pertains to a couple years and perhaps one model only. While you can conceivably think it could be month, year for maybe 68/69, what about all the other years and codes from all the other motor companies where the coding is very different and 8 characters long? Kinda begs you to ask the question doesn't it? That's why I asked Pete, and he doesn't think it's date coding, but actually batch codes. Example...what are all these zeros about? Month zero then year??? There's gotta be more to this. I'll answer your questions when you answer mine. And when you say this is a sampling of a couple of years and perhaps one model only, that is an insightful observation as this is a 1st Gen site and Hurst usage of one model year. So, yes, that is all I am concerned with and all this site is and should be concerned with. Let other makes/models make their own conclusions. You surely cannot deny the facts of the sampling and you are up against some of the best minds in the hobby. We, collectively, are open minded to divergent viewpoints, and do not have our head in the sand. What you propose is not consistent with the evidence. Do you see a pattern from the data that suggests different? I believe everyone could be right. It does seem odd to me how some shifters do have extra characters while others don't. And as far as I know there hasn't been a complete breakdown or understanding posted on the site anywhere that I've seen. I don't think it's all completely understood yet. Just looking at the list, mine is the only original shifter on that list with 8 characters. I have no idea what the "O" is and a pair of D's don't make much sense to me either. But I could make a good guess at the 31 as possibly being the day of the month since my car was built around the last week of December. That's just a guess but it makes the most sense to me at this point. I agree with X33 ... as I've stated before. 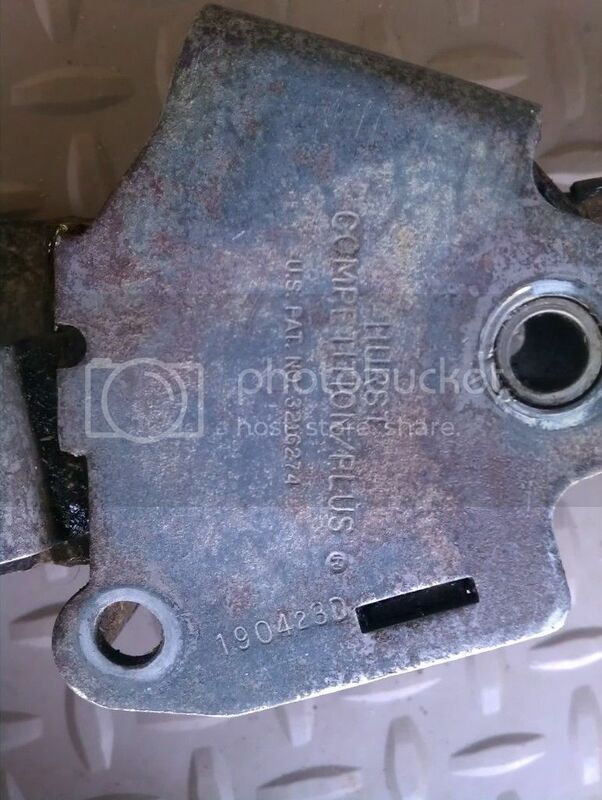 The Hurst code is not ONLY a date code; it makes more sense that it's a Hurst batch code, BUT it does have a 'date' encoded into it (I don't think there's any doubt about that, at least for the Chevy shifters for '69, where we have TOO many examples to ignore. 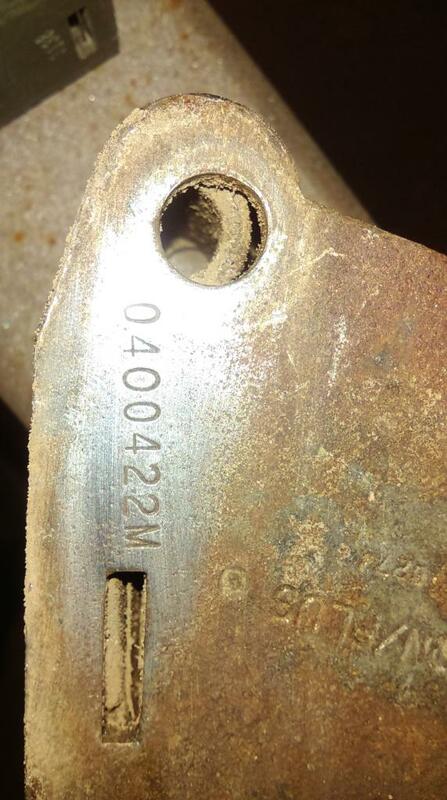 Th fact of a date included batch code makes sense given the warranty issues that would be faced when Chevy sent back to Hurst a malfunctioning Shifter from a 'warranted' car for repair/replacement. Hurst would have a means to determine from only the shifter 'when' it was made and how long any warranty Hurst supplied to Chevy would last.